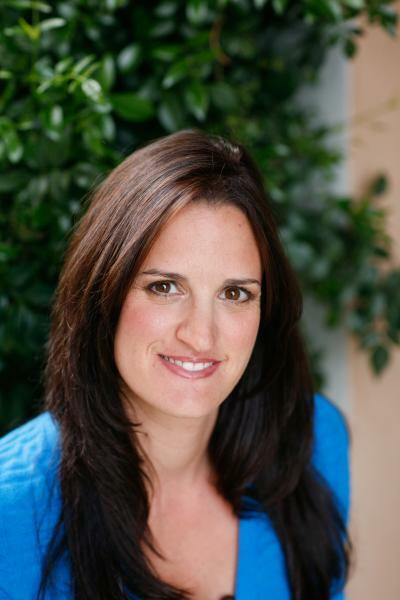 Esther Globeman has practiced physical therapy in Ventura since 2005. She is a California native who's been helping people with Physical Therapy Since 1995. Esther earned both her Masters Degree in Physical Therapy and her Bachelor of Science degree in Health Science from California State University, Northridge. She recently graduated with her Doctorate of Physical Therapy through Evidence in Motion with an emphasis in Practice Management. Esther is a member of the American Physical Therapy Association, including the California chapter and is nationally registered in the APTA's Orthopedic, Private Practice and Women's Health sections. Esther has trained extensively in post graduate courses in Parkinson's Disease, Chronic Pain Rehabilitation, Manual Therapy, Pilates based rehabilitation among others, and is well known for her focus on Women's Health Therapy including pelvic pain, incontinence, pregnancy and post-partum recovery. Esther and her husband Randy, a career Ventura County Firefighter and EMT, enjoy an active and healthy lifestyle raising their two children. Sara Guerra earned her masters in physical therapy from the University of Texas Medical Branch in 2005. She swam competitively for the NCAA while earning her bachelor of science in kinesiology at the University of North Texas in 2001. Sara joined the Globerman Physical Therapy team in 2012 when she and her husband relocated to California. Sara has practiced in her native state of Texas, as well as Florida, Virginia, and now California. Prior to working in outpatient, Sara's early focus was working with the advanced-age population in the home, assisted living, and skilled nursing settings. While living in Florida, Sara was an accomplished triathlete, completing three half Ironman races and multiple olympic and sprint distance races. She loves incorporating her past as a multi-sport athlete with her knowledge of physical therapy to assist her athletic patient population in healing and thriving in their respective sports. Sara is passionate about holistic wellness and nutrition and loves providing patient education regarding the mind-body connection as an integral part of the healing process. She revels in being a mom to her young son, and takes advantage of Ventura’s amazing outdoors for hiking, trail running, surfing, and practicing yoga. Heather has been a physical therapist for over 20 years. She grew up in the foothills of Yosemite. She received her physical therapy degree from California State University, Long Beach. She has worked with patients of all ages, her oldest patient being a 101 years old and her youngest being 10 months old. She has practiced in acute care, sub acute care, and outpatient settings. Her passion is working with the everyday person and helping them return to their optimum physical level and participate in activities that they love. She has had extensive coursework in orthopedic rehabilitation and is experienced with TMD patients. She lives in Ventura with her two teenage children, dog, and two cats. Her interests are tennis, running, cycling and reading.